As the conventional fee-for-service (FFS) model is slowly being replaced by value-based care in the healthcare domain today, care providers are taking a step back to reevaluate their patient care environments. In this endeavor, three critical aspects of their service are surfacing as top strategic imperatives: cost, quality, and outcomes. To improve these standards, care providers are primarily focusing their efforts on eliminating superfluous clinical processes—through initiatives that reduce unnecessary tests and the tenure of hospital stays. While this approach is indeed an important means of improving the value of care, there is another key facet that consumes nearly one-third of hospital operating budget and yet is often overlooked when it comes to reforming the health systems: the healthcare supply chain. 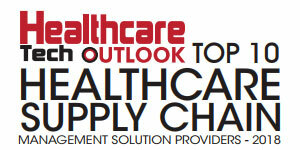 Today, the healthcare supply chain constitutes between 30 to 45 percent of the annual operating expense. Therefore, its cost containment by competently managing the supply chain is an absolute necessity for effective and efficacious healthcare services. “When it comes to expenses, health supplies are second to only labor, with millions of products moving along the supply chain every day from manufacturers, distributors, group purchase organizations (GPOs), and healthcare providers to patients,” says Bruce Johnson, president and CEO of GHX. Presently, this intricate supply chain is managed through paper forms that are fraught with errors and duplication. This is where Colorado-based GHX imprints its significance—the company aims to bring a world of difference to the traditional, manually-driven healthcare supply chain management practice. A healthcare business and data automation company that employs a software-as-a-service model, GHX’s modus operandi lies in reducing the cost of doing business in healthcare by automating the supply chain processes and improving visibility into the products used in patient care. GHX offers sophisticated tools for automating all phases of the procure-to-pay and order-to-cash supply chain by helping customers drive workflow efficiencies in procurement, contract management, order lifecycle management, vendor credentialing and compliance, business intelligence, and invoice and payments. The company has also established a GHX Global Network— one of the largest communities of healthcare trading partners, connecting supply chain, finance and clinical professionals with their suppliers. “We bring together more than 4,100 healthcare providers and 600 manufacturers and distributors in North America, and another 1,500 providers and 350 suppliers in Europe—who rely on cloud-based technology and comprehensive data to automate their business processes and make more informed, timely, fact-based decisions that drive costs out of the healthcare supply chain,” says Johnson. Utilizing their extensive experience in the healthcare, data management, and supply chain arena, today, GHX acquires the moniker of a “trusted partner” among organizations as they attempt to revive the antiquated healthcare supply chain methodologies. It started with an aspiration to use the power of the internet to reduce inefficiencies that were rampant in the healthcare supply chain. Committed to bridging the gaps in the system, five of the world’s largest medical product manufacturers—Johnson & Johnson, GE Healthcare, Baxter International Inc., Abbott Laboratories and Medtronic, Inc.—founded GHX in 2000. GHX was one of the first companies to lead healthcare into the digital age with an open and neutral electronic trading exchange, GHX Exchange. GHX Exchange continues to remain the most advanced, sophisticated and scalable e-commerce platform available in the healthcare realm. “We’ve come a long way since the first successful purchase order was passed through the Exchange,” says the CEO. Today, GHX’s strong, long-term relationships with a wide range of healthcare manufacturers, distributors, providers, and group purchasing organizations, act as the company’s harpoon of success to develop robust technology solutions that address the unique healthcare supply chain challenges. A major breakthrough that GHX has been able to bring to the table is the integration of the non-acute commerce (such as out-patient surgery center and physician clinic) into the acute model of care. The non-acute financials have traditionally been independent of the acute care hospital. Acquisition of supplies, technology, and financials was often outsourced to a management organization or administered as a separate entity—not with the same vigor as that of the acute care “parent.” GHX, with the help of its nexus of healthcare supply chain management solutions, aims to stir a definite movement of aligning both the non-acute and acute health system commerce not just to remodel the supply chain but also explore associate opportunities for the parallels in the areas of contracting, acquisition, and fiscal measures. An end-to-end order cycle automation, contract management, and spend analytics, along with consistent attention to compliance requirements are the key characteristics that contribute to high performing supply chains, “and lacking any one of these comes up short,” says the CEO. Designed to meet these precise needs, GHX’s Exchange Enterprise solution offers enhanced visibility throughout the supply chain. Elaborating on the robustness of the solution further, Johnson takes the instance of Seattle Children’s Hospital that used GHX’s solutions to drive continuous performance improvement. Consistently ranked as one of the best children’s hospitals in the country, Seattle Children’s Hospital specializes in meeting the unique physical, emotional, and developmental needs of children from infancy through young adulthood. Through the collaboration of physicians in nearly 60 pediatric subspecialties, Seattle children’s hospital provides inpatient, outpatient, diagnostic, surgical, rehabilitative, behavioral, emergency and outreach services to families from around the world. The hospital has derived noteworthy benefits from transacting with suppliers through GHX Exchange— including greater visibility, accuracy and efficiency. Even for those suppliers who are not connected to the Exchange Enterprise, GHX provides a suitable solution, MetaTrade, to reduce fax and phone transactions. With MetaTrade, Seattle Children’s Hospital is able to convert all their electronic POs into a fax or an email format for those suppliers that cannot accept EDI transactions. This helps Seattle Children’s Hospital to increase its EDI transaction volume while reducing the time-consuming and labor-intensive manual task of calling vendors to place and confirming orders. Recently, the organization’s strategic sourcing team had also launched a Continuous Performance Improvement (CPI) initiative, based on LEAN principles, to eliminate waste. Maximizing the use of GHX Exchange solutions to drive more catalog and on-contract purchases, reduce exceptions, and automate a higher volume of supplier transactions, the child-specialty hospital was able to significantly improve the effectiveness and efficiency of its sourcing operations. This initiative enabled strategic sourcing team to support the organizational growth while maintaining staffing levels. GHX conducts an annual healthcare supply chain summit every year — considered as one of the largest events for healthcare supply chain leaders—to bring together participants from across the industry to address critical issues within a collaborative environment. The most recent summit, held on March 21, 2018, pointed out the need for better use of data to drive efficiency and reduce costs across provider organizations. “Supply chain leaders understand how critical quality data is to solve the large issues of cost, quality, and outcomes in healthcare,” says Johnson. Thus, as an ongoing conquest for the company, GHX is headstrong to solve the data deluge concerns across the continuum of care.